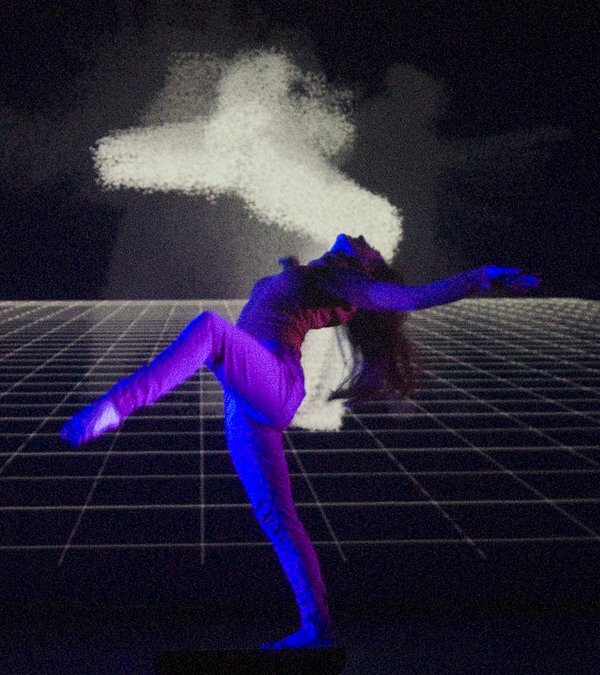 'Into another body' is an interactive media dance solo with electronic music and video projection. 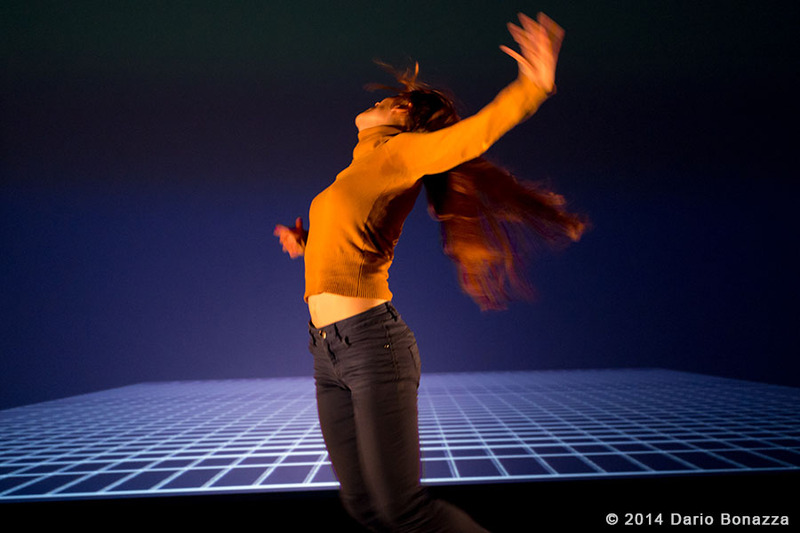 Dance, music and visuals interact live with each other and create different embodiments of dance and choreography. 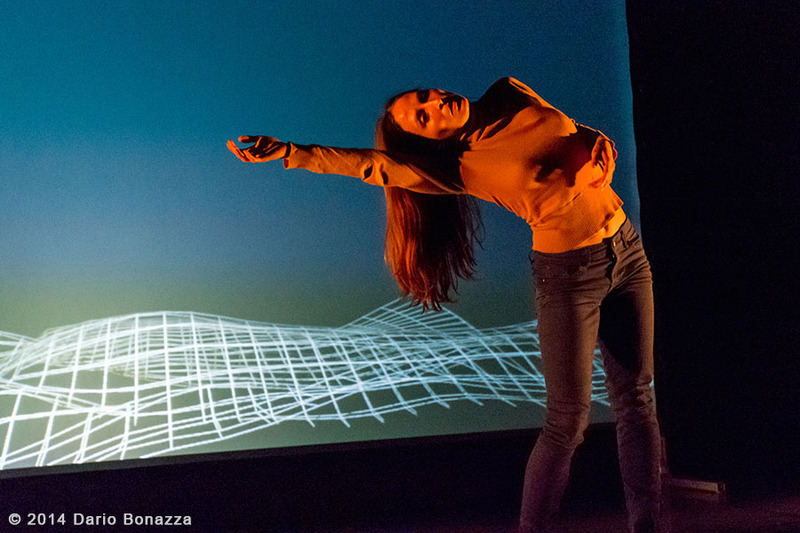 It is the first dance performance production of the company Animu, which seeks to research in the field of dance and technology. 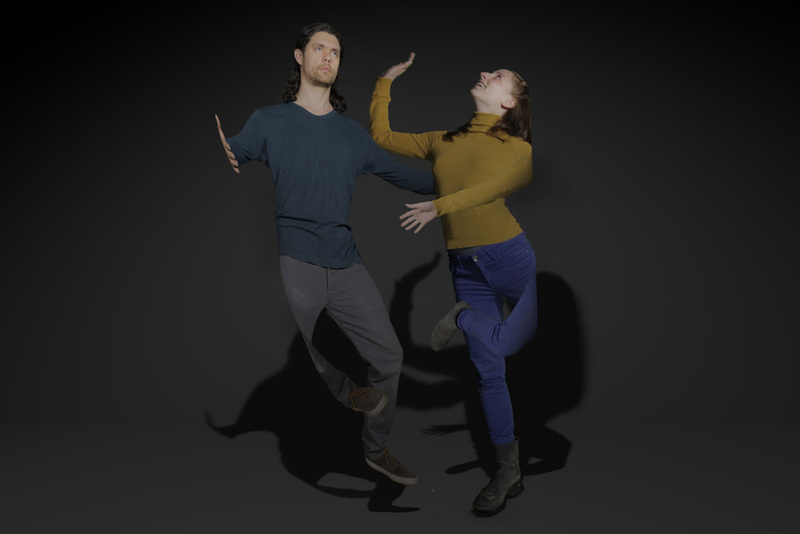 Using the kinect (motion tracking device) by researching the possibilities of actively moving bodies on a projected wall, we developed an interactive dance installation and a performance, an interplay in between personae. It was first performed at 'Radion' in Amsterdam, at Alps Move 2013 in Italy, at 'The Garage' in San Francisco, then chosen for the platform for young choreographers 'Anticorpi XL 2014' in Italy, where it toured further during the year 2015, amongst others at 'Bolzano Danza' and Aterteater Festival (IT).